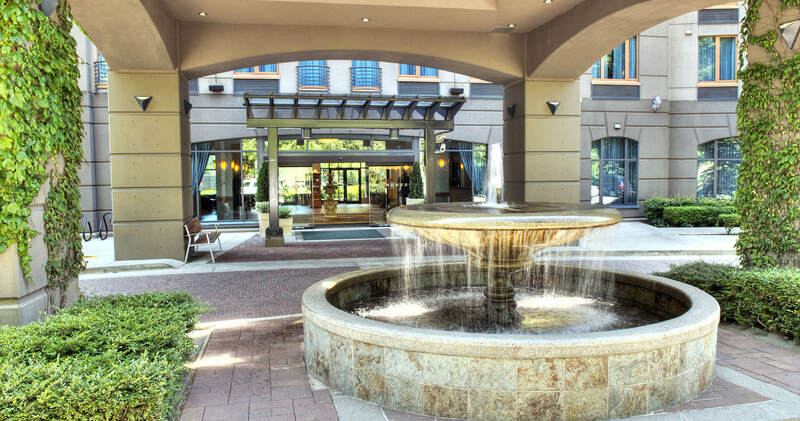 Experience amazing North Vancouver accommodations and incredible hotel amenities at Holiday Inn & Suites North Vancouver. Dive into our heated indoor pool, dine in at our onsite restaurants, work up a sweat in our well-equipped fitness centre or indulge in an extravagant spa treatment at the Blu Harbour Wellness + Spa located inside our hotel. Check out our package offers, or book directly online to get the best available rate - guaranteed. 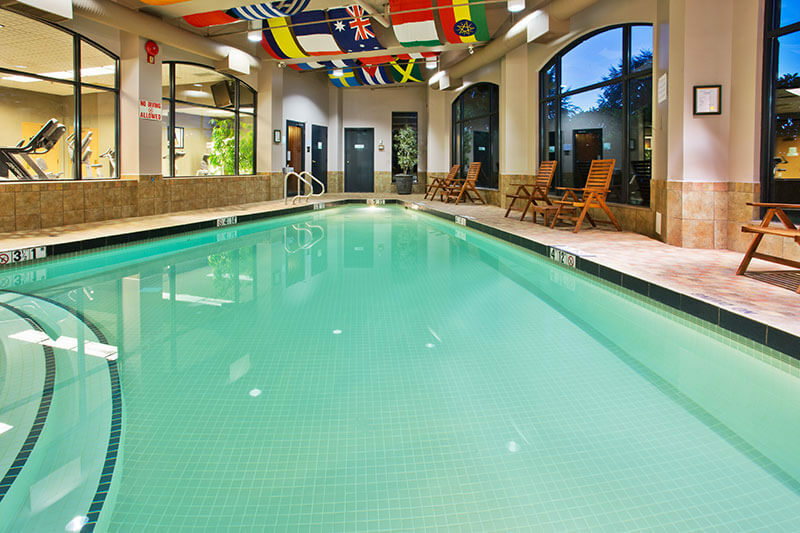 Step into our pristine recreation area featuring a heated indoor pool, hot tub and dry sauna. The pool area offers plenty of comfortable seating with wood deck chairs and tables, and opens up to the Garden Gazebo on warm spring and summer days. The pool, hot tub and dry sauna are open daily from 5:30 a.m. to 11 p.m., all year long. Stick to your fitness routine in our state-of-the-art fitness studio, featuring large windows and natural lighting, floor-to-ceiling mirrors and a mat area for floor work. 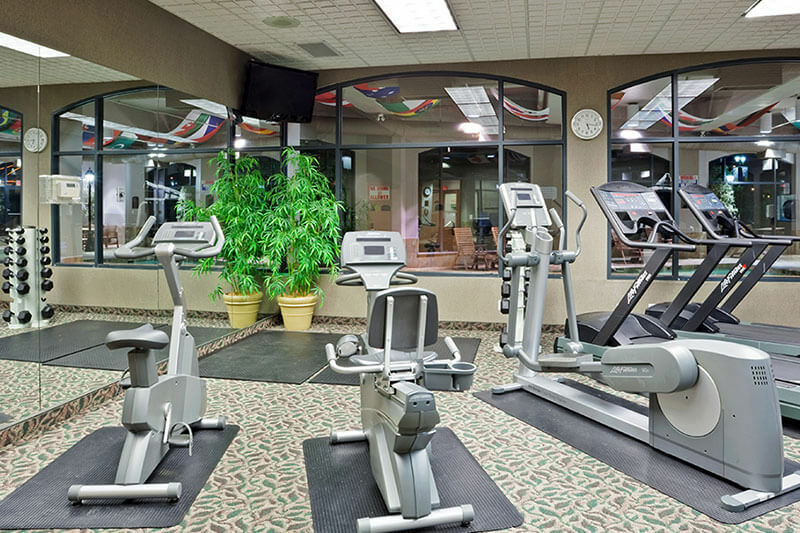 Open from 5:30 a.m. to 11 p.m. daily, the fitness centre has two treadmills, an Elliptical trainer, two stationary bikes, a Universal Gym, free weights and a balance ball. Splurge on a luxurious spa treatment at the onsite Blu Harbour Wellness +Spa. Enjoy a rejuvenating massage, manicures, pedicures, facials and more with registered spa specialists in a calm, soothing atmosphere. The spa offers exclusive package for hotel guests, as well as couple’s massage. 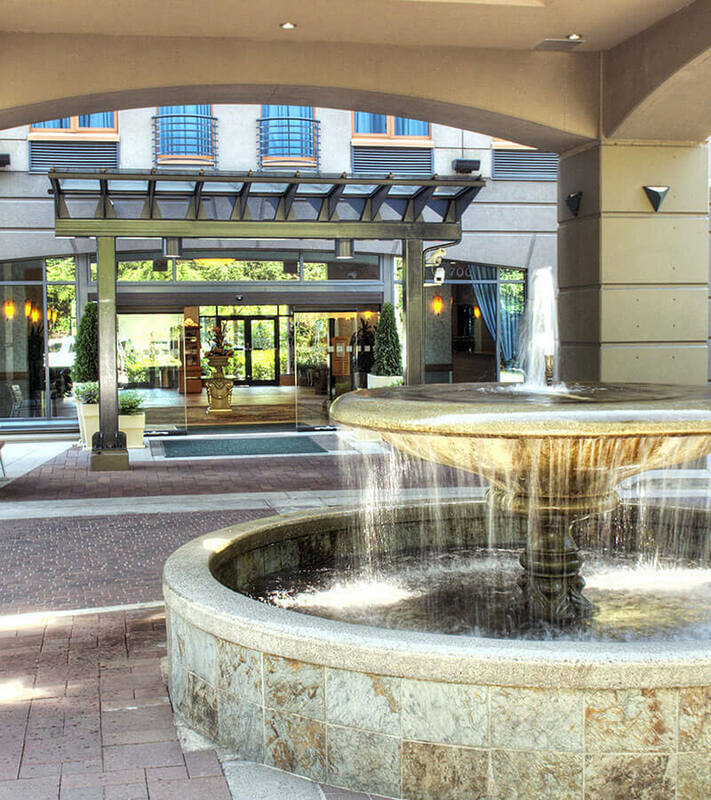 Featuring a 25 item buffet breakfast on Sundays, the Pantry Restaurant, located onsite at Holiday Inn & Suites North Vancouver, is open daily for breakfast, lunch and dinner. 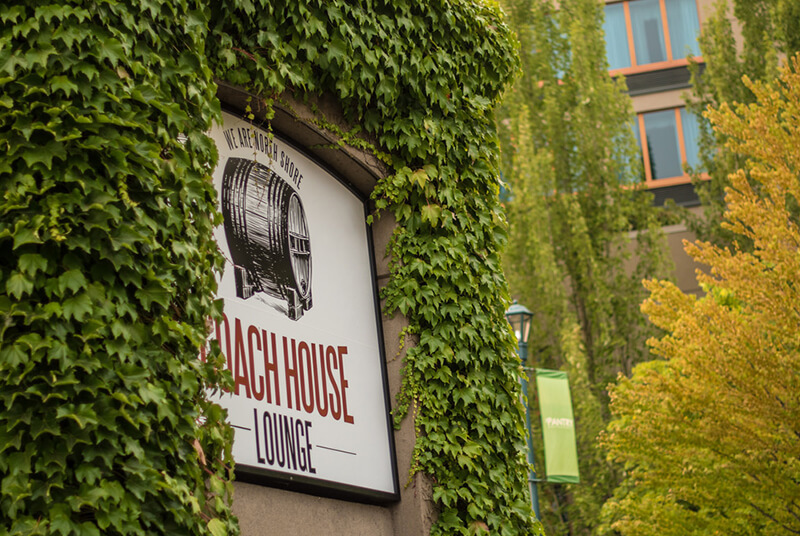 With family friendly menu options and plenty of choices, there is sure to be something for everyone! The hotel is also home to other onsite family friendly and pub eateries that are well worth a visit. 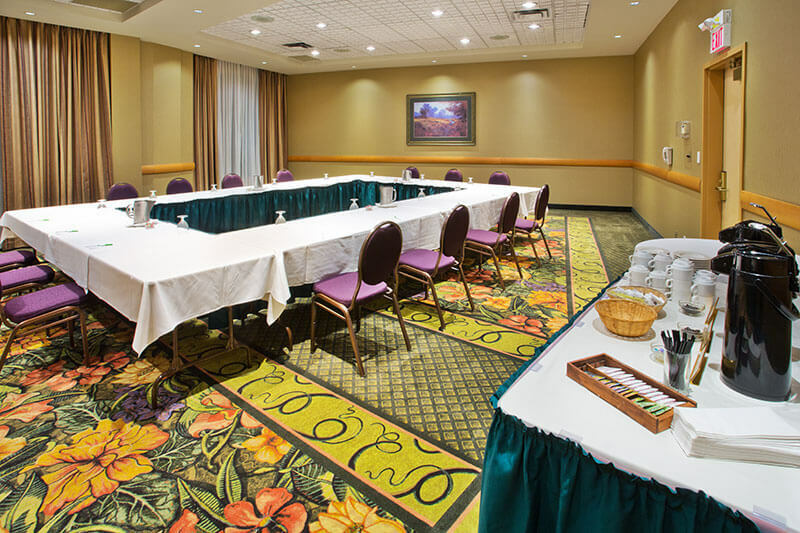 Holiday Inn & Suites North Vancouver is ideally located just off of Highway #1, making us the perfect location for your next business meeting, wedding reception or other social event in the Vancouver area. Explore our event facilities today and contact us for details on special group accommodation rates!